by Hitchcock, Janice E., Schubert, Phyllis, Thomas, Sue A.
Hitchcock, Janice E., Schubert, Phyllis, Thomas, Sue A. This revised edition emphasizes the roles and responsibilities of the community and public health nurse, with special emphasis on international, multicultural, poverty, alternative healing modalities and other emerging themes. 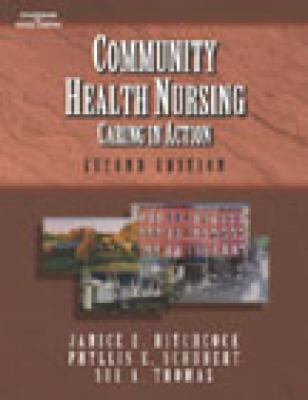 It is fully updated to reflect Healthy People 2010 goals and objectives.Hitchcock, Janice E. is the author of 'Community Health Nursing Caring in Action', published 2002 under ISBN 9780766834972 and ISBN 0766834972.